History: 1970-1978 Results now available! Check out the 1st Timer page if you would like more information about this event. 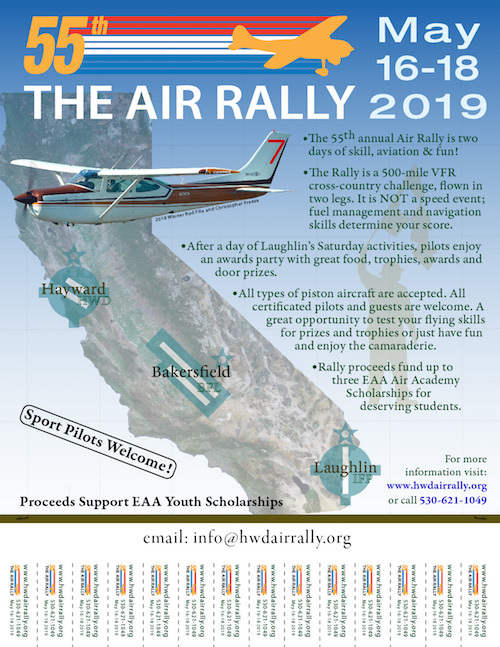 Will be held May 16-18, 2019 from Hayward, CA (KHWD) to Laughlin/Bullhead, Nevada (KIFP). The entry Registration Forms are now available for download here. 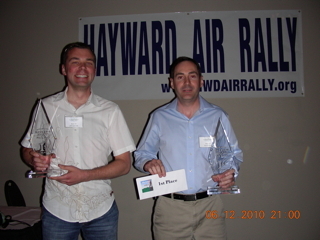 What is the Hayward Air Rally? The rally means different things to different pilots, but for all it's a combination of competition, challenge, and camaraderie. 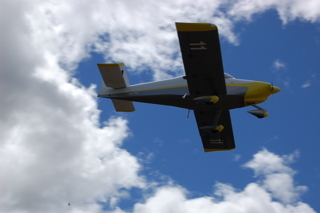 The event is open to all pilots (student and recreational pilots must be accompanied by a suitable pilot in command) and most piston-powered GA aircraft (including LSAs and experimentals). The specifics of the rally course are released at the rally briefing. 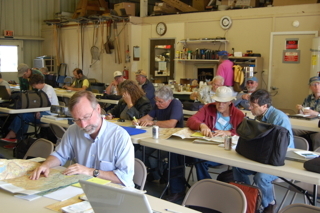 Participants flight plan for the course and produce flight time and fuel consumption estimates for each leg of the rally. 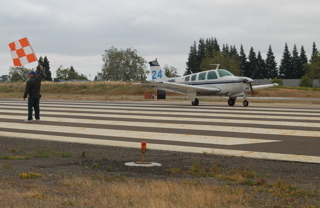 Scoring is based upon the performance of the accomplished flight against the pre-flight estimates, course checkpoint identification, and navigation equipment used. Details on the competition structure may be found via the About links above. 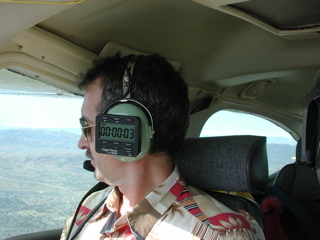 While competition rules allow for the use of GPS navigation (and even digital fuel totalizers), many participants elect to use the scoring system that allows only "traditional" radio-based navigation aids - even if their aircraft are GPS equipped. 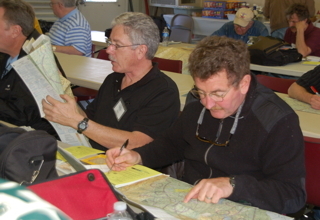 As a proficiency rally, the course is designed to exercise cross-country navigation and pilotage skills. 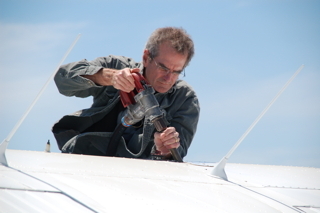 Enroute checkpoints have included identification of such items as bridges, distinctive buildings, and unimproved (think emergency) landing strips. 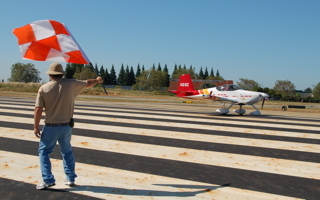 Not everyone who flies in the rally is in it for the competition. 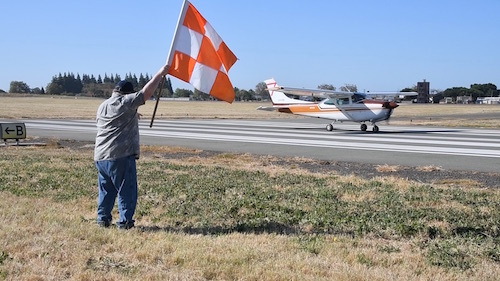 For some, the rally is simply a weekend getaway with a group of great fellow aviation enthusiasts. 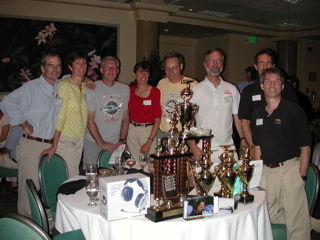 The rally provisions a "hospitality suite" at the destination hotel where participants can gather to socialize, hangar fly, and boast or commiserate over competition performance. There is ample free time to explore local points of interest prior to the awards banquet on Saturday. 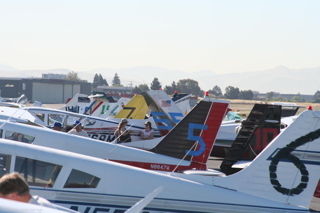 A portion of each year's rally entry fees goes to fund EAA Air Academy scholarships for local students. 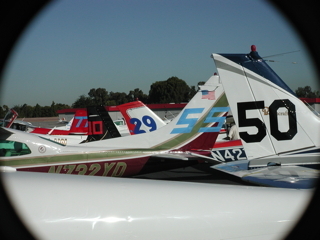 We hope to inspire the next generation of aviation enthusiasts through this educational program! 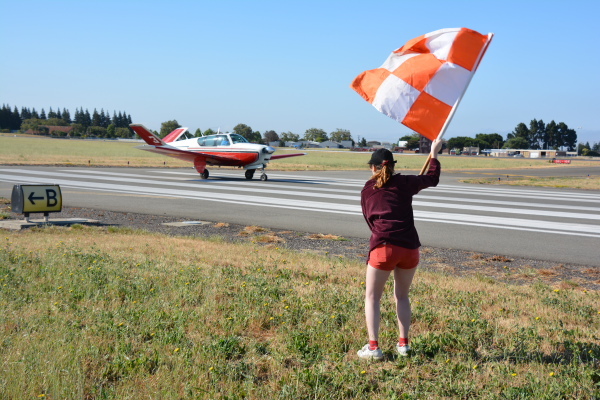 Whichever reasons appeal to you, we hope you'll join us at the starting line for this year's Hayward Air Rally! Entry information may be found here. 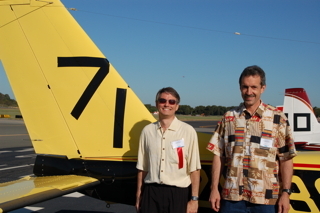 Each year the Rally offers scholarships to deserving students to attend the EAA Air Academy. In 2015, we sent three students to camp! 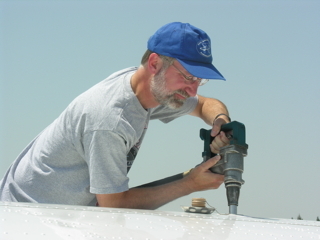 The scholarship includes both tuition and airfare. 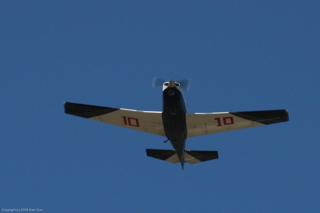 This is an expensive but very worthwhile aspect of the Rally - aviation education. If you would like to support this effort, even if you can't join us for the rally, please consider making a donation to help us defray the costs. 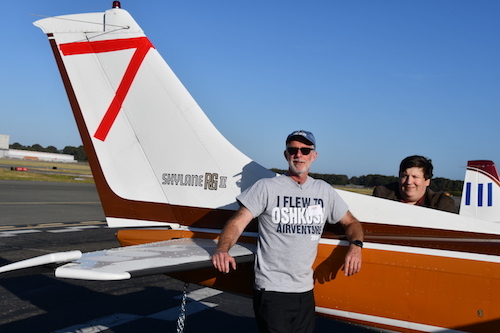 If you are a member of EAA and you or your chapter have unused Young Eagle Credits, we can use those too! Please contact us to learn how to transfer those credits to support the scholarships. 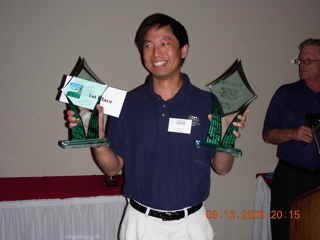 The Rally awards much more than just 1st, 2nd and 3rd place. 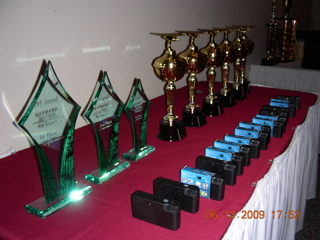 You can see some of the other fun awards for 2015 here. Please use the links on the menu bar above to learn more about this annual event.